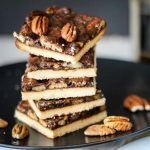 These 7 ingredient easy pecan pie bars are the perfect addition to your Fall fridge and table. They’re simple, have a subtle pecan smoothness to them and are an easy dessert for a Thanksgiving potluck. Pecan pie has always been one of my favourite desserts, I loved its hot sweetness served with a (un)healthy amount of ice cream and a cup of coffee to finish off a lazy weekend. However I would shortly fall into a small sugar coma thereafter. Since becoming vegan I had not attempted to make my own pecan pie before last week. I spotted a pecan pie in the shops last Sunday and images of black coffee and sugary pecans immediately came to mind. Since it’s so close to Thanksgiving I decided to make my own healthier version of my favourite dessert for the Fall holiday. As soon as I started looking around for recipes I noticed a trend. Copious amounts of vegan butter and sugar would be made into a strangely complicated crust over which would be poured a soup of sugar, cornstarch and a bare minimum of pecans. This did not sit well with me and a usable recipe was not found. But, with some trial and error, I had some success at creating a healthy, easy, minimal ingredient recipe for pecan pie bars. 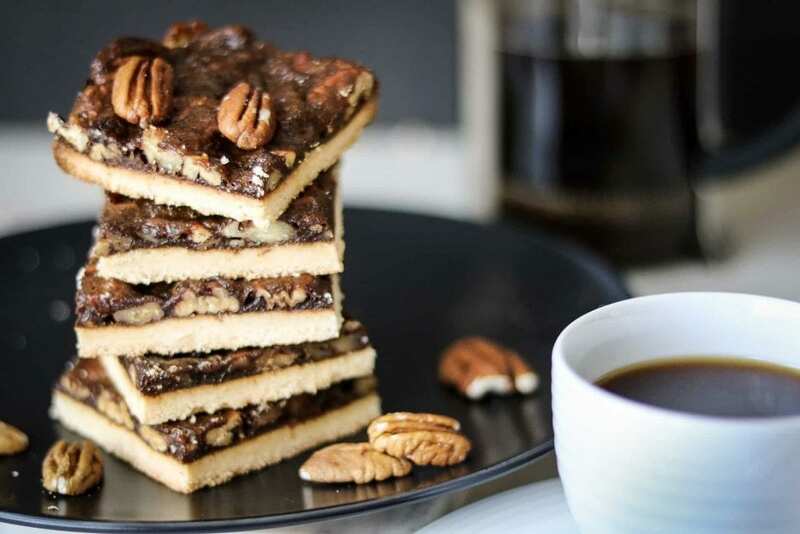 These 7 ingredient easy pecan pie bars are the perfect addition to your Fall fridge and table. They're simple, have a subtle pecan smoothness to them and are an easy dessert for a Thanksgiving potluck. Bake for roughly 20 minutes, until the filling has properly set and allow to cool down to room temperature. My plans for this Thanksgiving are to try out something new I found at the supermarket, it’s called a Country Roast (it looks very similar to a meatloaf) and it’s made by the Fry Family here in South Africa. 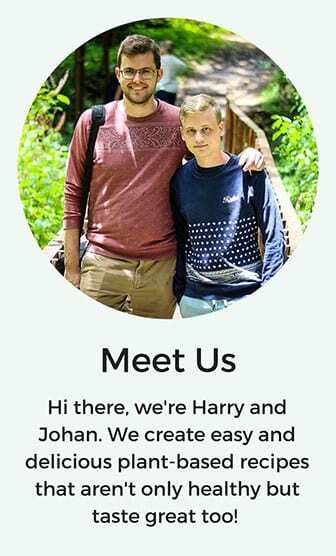 They provide the only vegetation and vegan meat replacement options here currently and they have some amazing products that I use all the time. Last week I found their gluten free rice and chia nuggets and you should see my freezer after this week’s shopping. Nuggets as far as the eye can see! I make some jalapeño mayonnaise for the nuggets and honestly, I cannot taste the difference between these nuggets with the jalapeño mayo and chicken nuggets from McDonald’s. Thank you Fry Family! What are your plans for Thanksgiving this year? Let me know in the comments below what you’re eating and if my pecan pie bars made it to the table, give me shout on Instagram with #deliciousplants so I can take a look! Do you need an easy Thanksgiving main meal? Why don’t you try our simple vegetable lasagna?